“Creative nonfiction is not making something up but making the most of what you have.” This statement is from the masterful writer, John McPhee. Annie Dillard writes of “time’s scrawl and your daring a necessity.” Her phrase speaks to our human need to shape and share experience through language. What the creative nonfiction writer enjoys is the freedom to use a fiction writer’s techniques: point-of-view, dialogue, multiple time frames. As the judge of this category, I would like to read truthful, authentic stories in 3000 or fewer words. I hope to hear a compelling voice, in whatever emotional register the writer chooses; and to read a vividly rendered story or narrative essay which lingers with me for its soul-making. GAIL WILSON KENNA (Kilmarnock, VA) has taught literature and writing in university programs in Germany, Malaysia, Venezuela, Colombia, and four U.S. universities/colleges. Her contributions to magazines and newspapers are numerous, as have been her writing awards. In 2012 the Bread Loaf Writers’ Conference awarded her the Donald Axinn fiction scholarship for a novel in progress. 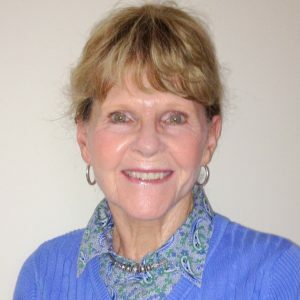 Gail’s three published books include: Along the Gold Rush Trail, used in adult ESL, Face of the Avila, written and published in Caracas, Venezuela, and Beyond the Wall, a compilation of essays about her four years of working with incarcerated North Americans in Venezuela’s infamous prisons. The book, awarded a Puffin Foundation grant in 2000, was distributed widely to journalists, policy makers, and organizations concerned with the ‘war on drugs’ in South America. A native of California, Gail now resides on a creek of Virginia’s Chesapeake Bay with her husband, three hours from D.C. where their adult daughters live.